As a young girl I dreamed of visiting far away places full of magic and mystery; enormous castles where knights once jousted, rivers that fostered civilization and palaces where ballerinas danced in front of their royal courts. I knew one day I would fulfill those dreams. When my hectic schedule began to slow down I set about making my dreams come true. Today I’m a seasoned travel expert, and certified Travel Agent, and I’ve hosted trips across the globe. I love to travel and although I’ve seen many wonderful sights, I still get excited over my next journey. And now I create once in a lifetime experiences for those that are well-traveled as well as those of you on your inaugural journey. 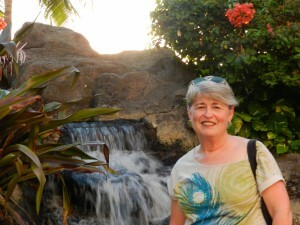 Working through Collette Vacations, Viking Cruise Lines, or American Cruise Lines, I’ve honed my knowledge of travel, hosted many wonderful journeys and my itineraries are flexible and unique. 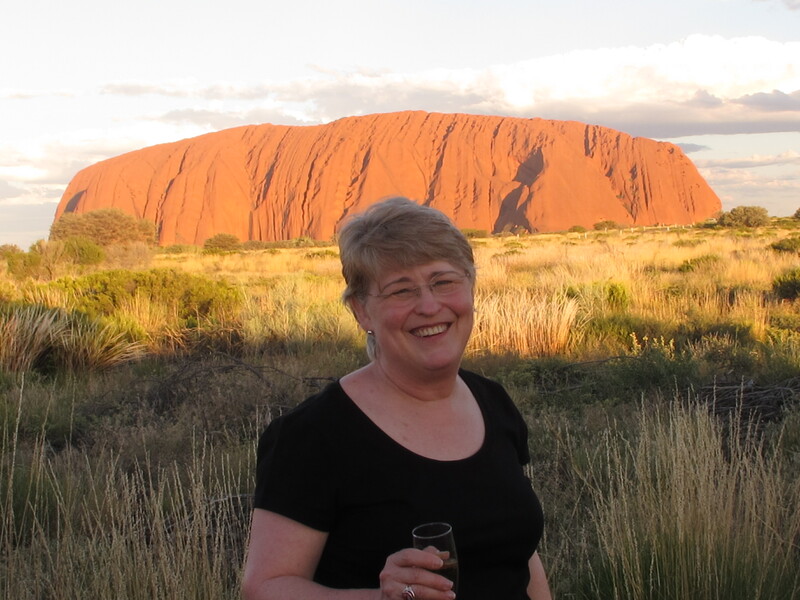 When you travel with me you’ll be treated to a memorable experience; you’ll get up close and personal to the land and culture that you may have only seen on TV or read about in a glossy travel magazines . You’ll experience all the sights, sounds and aromas that places like Vienna, Costa Rica, Paris, Africa, Italy and Hawaii have to offer. Come along with me and I’ll show you all the magic and mystery of your world. I’ll show you where ballerinas danced, knights jousted and rivers flowed through great civilizations. And we may even straighten out a leaning tower or two. 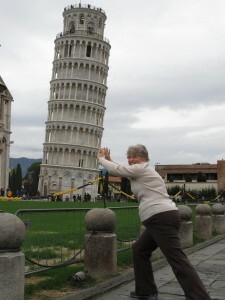 This is something every visitor to Pisa ends up doing, trying to straighten out that leaning tower.